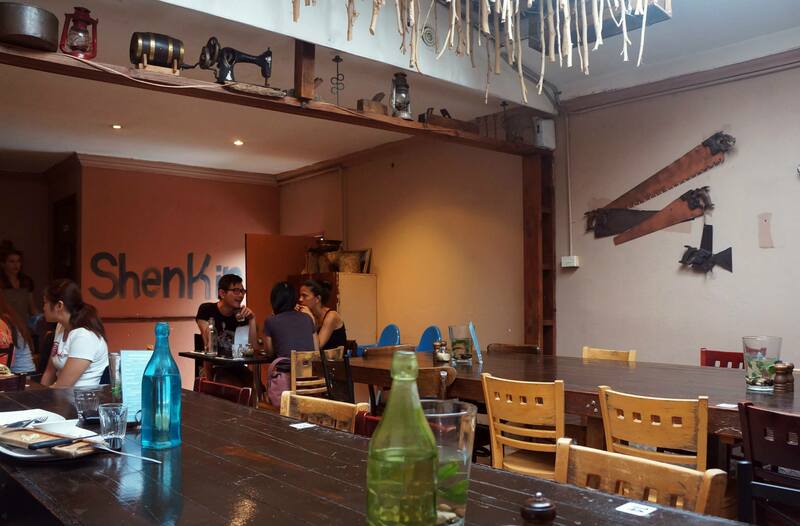 Shenkin, a popular Israeli influenced cafe is definitely worth a visit for their famous baked eggs which are arguably the best in Sydney! Although Erskineville isn’t really a dining destination just quite yet, with the famed Shenkin in the area there’s definitely a reason to head there for breakfast or lunch. 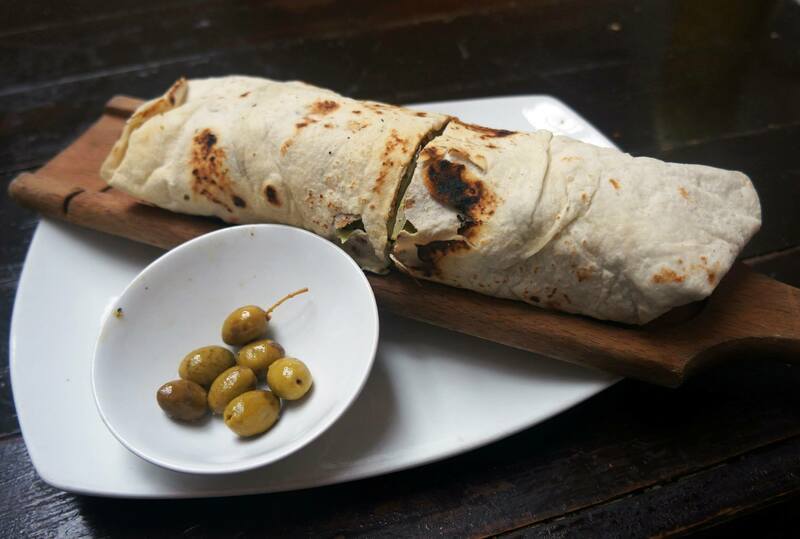 If you are hungry and a big eater, then I recommend you order the Grilled Chicken Wrap. If you aren’t, then try to share it with another person. This is a really big serving and I was struggling halfway with HALF the wrap. It’s filled with many ingredients (I forget which exactly) and the chicken pieces are plentiful. The wrap is very soft but the ingredients don’t fall out because of the good construction, everyone hates that right? 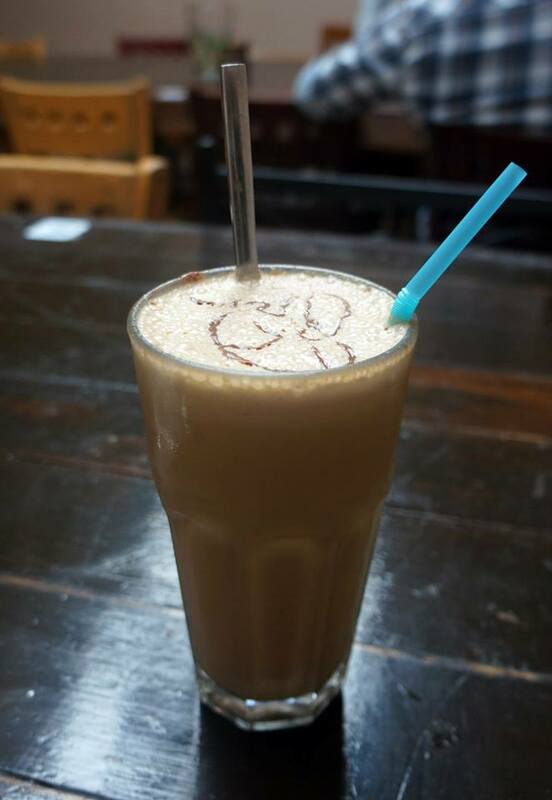 I was really craving something icy cold to drink due to the hot weather and this Iced Mocha was perfect. It’s very creamy with a good amount of chocolate sauce and a shot of coffee mixed together. @Helen – Definitely felt like a family establishment! Love the family story behind this place. 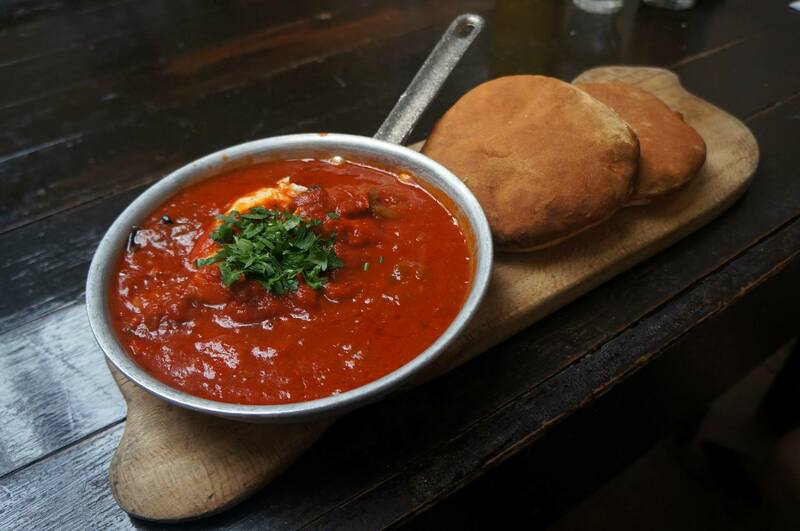 The shakshuka looks amazing!